By Louis Jacobson on Monday, July 10th, 2017 at 11:45 a.m.
We took a closer look at this post, and it proved to be entirely fabricated. Take an FBI director controversially fired by President Donald Trump (James Comey), add in an ousted Democratic National Committee chairwoman (Rep. Debbie Wasserman Schultz, D-Fla.), and whip up an air of illicit love and it’s not hard to assemble clickbait gold. If you can suspend all common sense, that is. The website Freedomcrossroads.us -- topped by a patriotic flag, a bald eagle, and the motto, "AMERICA -- LOVE IT OR LEAVE IT!" 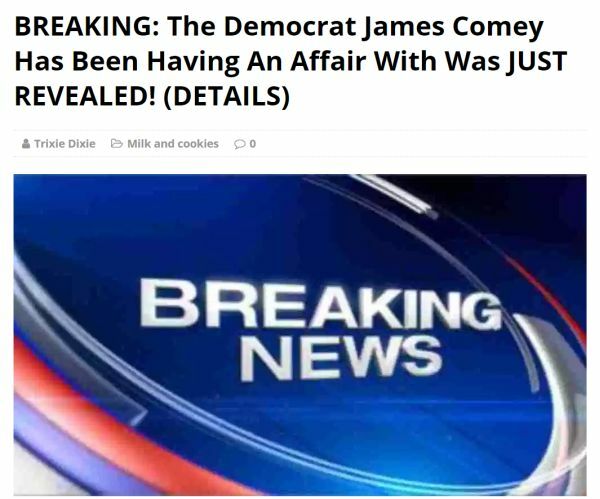 -- recently ran an article headlined, "BREAKING: The Democrat James Comey Has Been Having An Affair With Was JUST REVEALED! (DETAILS)." Let’s get quickly to the bottom line: This allegation is complete and utter hooey. We are fact-checking it because Facebook users flagged the post as potentially being fabricated, as part of the social media site’s efforts to fight fake news. As of July 7, 2017, the post had been shared 2,200 times. A reprinted version at a separate site, thelastlineofdefense.org, prompted additional shares. Comey’s paramour, according to the article, is "none other than the DISGRACED former Chair of the DNC, Debbie "Whiny Democrat" Wasserman Schultz — talk about a match made in Heave… errrrr… Hell! These two dimwits were probably attracted to each other because they are both LOSERS who can’t accept defeat, but that doesn’t really differentiate them from the rest of the crybaby Democrat Party, now does it?" The website cites "our exclusive sources" to support the idea that the two "couldn’t put aside their lust for each other and decided to have an affair. Not exactly shocking, considering they’re two liberal sickos — and we all know, ANYTHING goes for them." The article suggests that Comey’s criticism of Trump, the man who fired him, stems from a desire to "impress his GIRLFRIEND. Pathetic." Neither Comey’s nor Wasserman Schultz’s camp commented for this article, but debunking this item is straightforward: Freedomcrossroads.us is a self-styled parody site that operates for clicks that earn advertising money. Its modus operandi is to troll social media users susceptible to believing overheated conservative rhetoric. At the bottom of the home page, the site says, "We believe that there is nothing more precious than the mind of an aging conservative. Here we gather a boatload of bullhonkey, works of pure satirical fiction, to give the fist-shakers of the world a reason to hate. Reality is often in the eye of the beholder. You won’t find any of it here." On another page, the site informs readers, "Freedom Crossroads is a magical place where patriots and God-fearing, Trump-loving Americans can go to find like-minded friends, read all about the buzz in the conservative community and be a part of the revolution to make America great again." 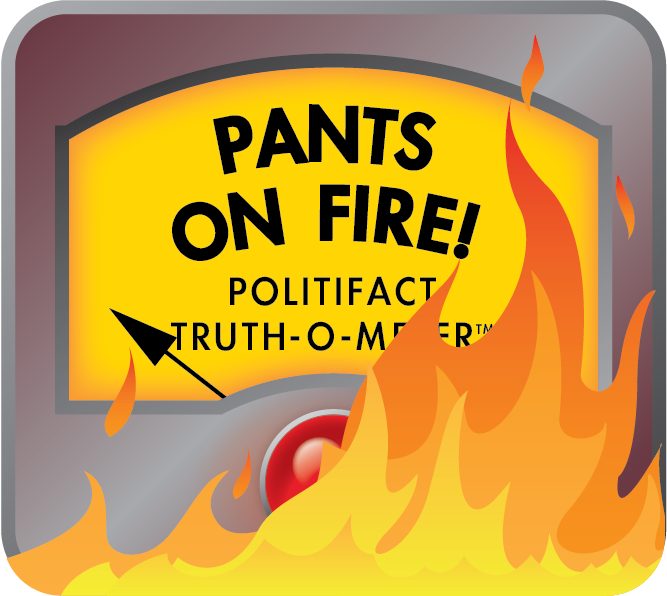 The site, it says, "uses facts that don’t exist and relies more on imagination than the truth. In fact, there is likely no truth at all in what you will read here. All of our articles are basically a crock of doody and should be considered satirical whimsies for today’s aging conservative. All people, places, names and images should be considered fictitious or fictitious representations." Such disclaimers, however, are nowhere to be found on the actual article page, which makes it easy for some readers to miss the joke. 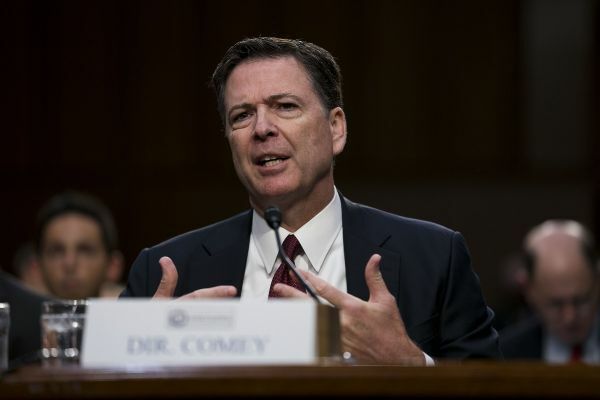 Freedomcrossroads.us published an article that said "James Comey Has Been Having An Affair With" Debbie Wasserman Schultz. As the website itself acknowledges on another page, this is all a "crock of doody." Only one rating fits: Pants on Fire. Published: Monday, July 10th, 2017 at 11:45 a.m.